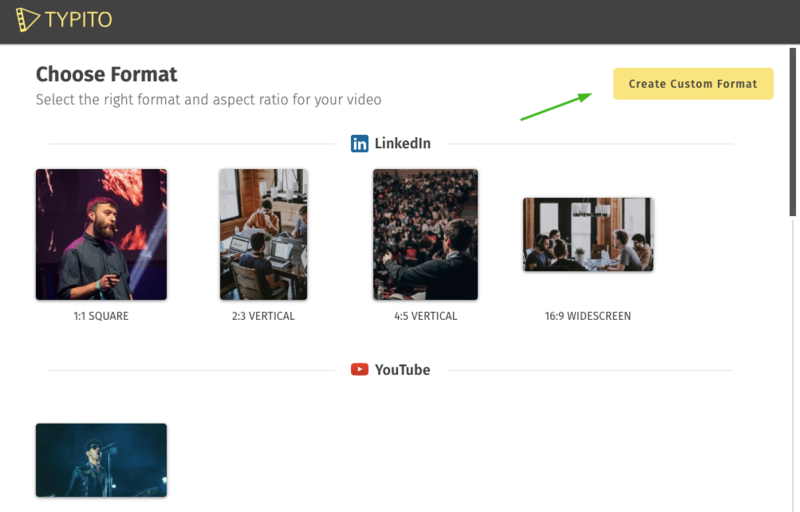 When distributing your videos on different marketing channels, it is essential to tailor your video according to the recommended specification(s) of the respective channel. The user interface of each marketing channel and your use-case is different. The way viewers will engage with your video will depend on how well you optimize your video specifications for the native format. 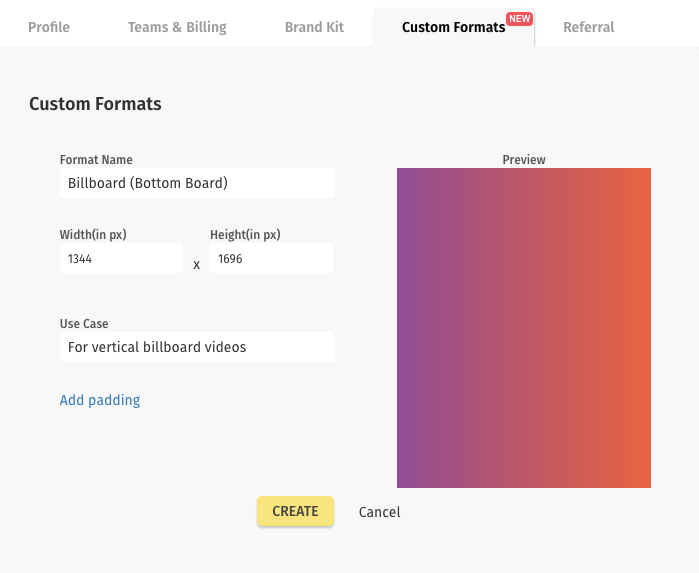 You can easily create engaging videos with Custom Formats in Typito. Be it for a billboard video advertisement or a vertical banner ad for Google Ad network. 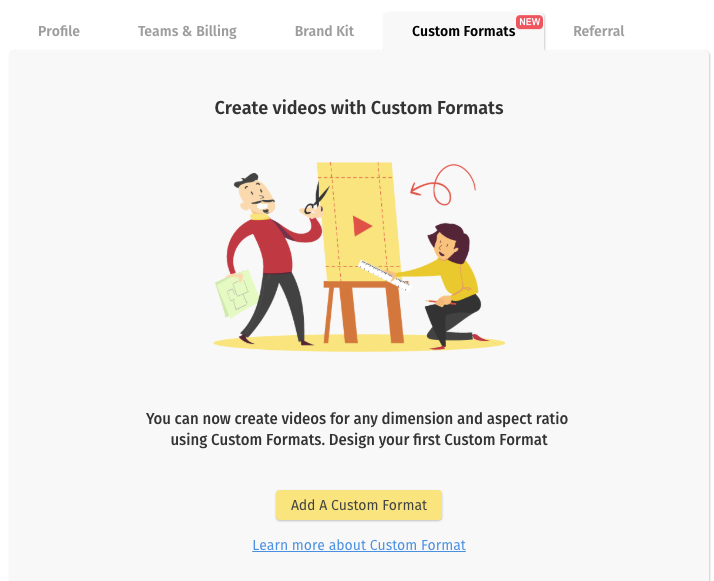 Please note: Custom Formats is a paid feature. 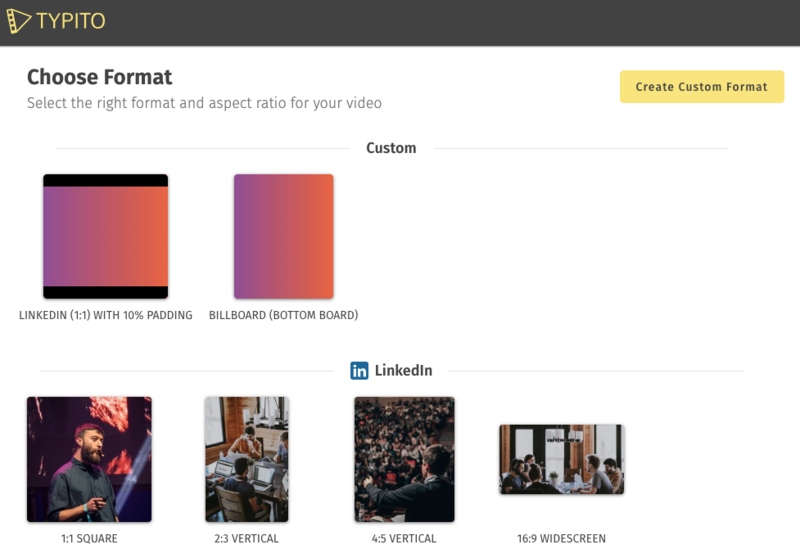 You will be able to edit videos with custom formats for free, but you‘ll need to subscribe to one of the plans to export and download such videos. Use case: This is for your reference and our learning. We just want to learn how we can optimize the experience according to use case you mention. Not a required field. 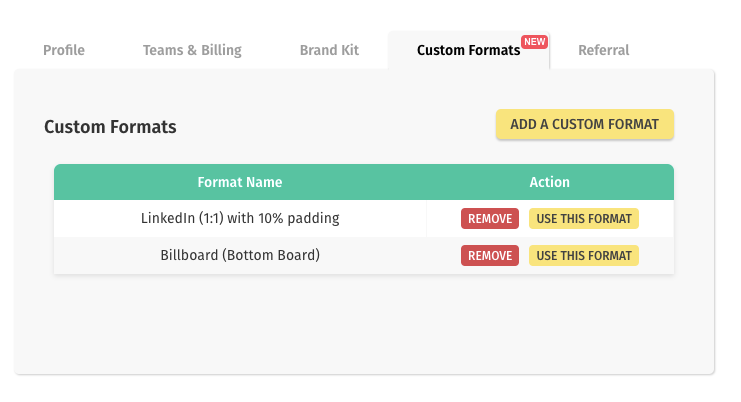 Add Padding: By default, a custom frame will be without padding. You can add padding (letterbox) on top/bottom by enabling this option. 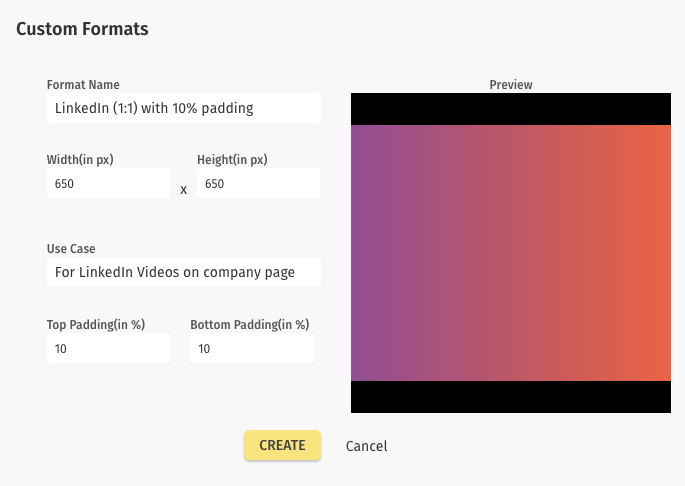 Padding is quite common in videos across social media channels like LinkedIn and Facebook. To add a padding, you just need to mention how much % of the video area should be occupied by the letterbox. 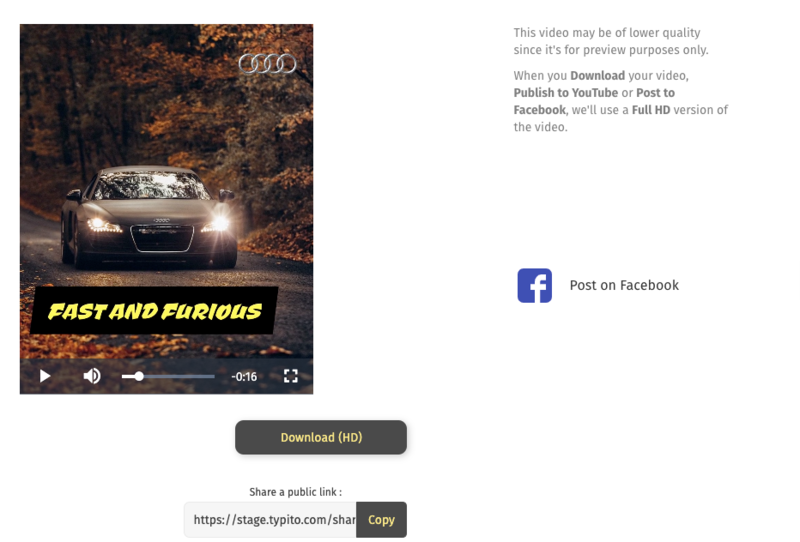 You can now add video clips, text, graphics, images and design and preview the video. Ready to export and download the video? If you have already subscribed to any of the paid plans, you can export the video with 1-click. 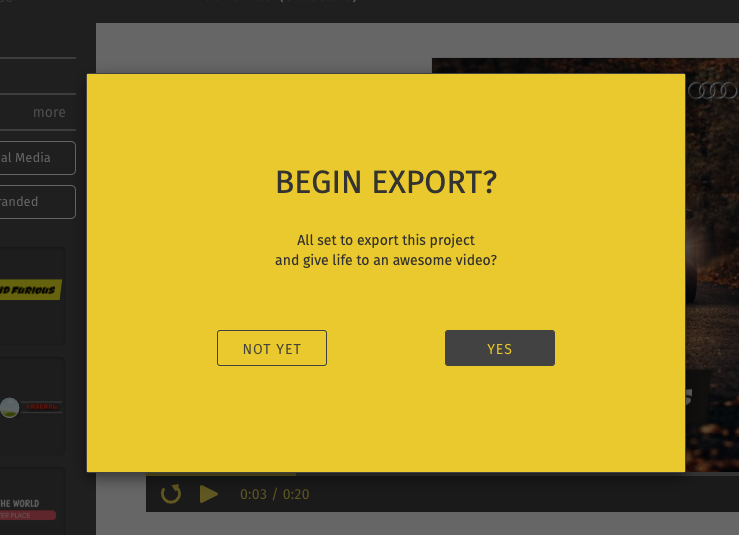 Once you export the video, your video is ready in all its Custom Format glory. Got any questions? Send a message to hello@typito.com or use the chat support functionality in the app.